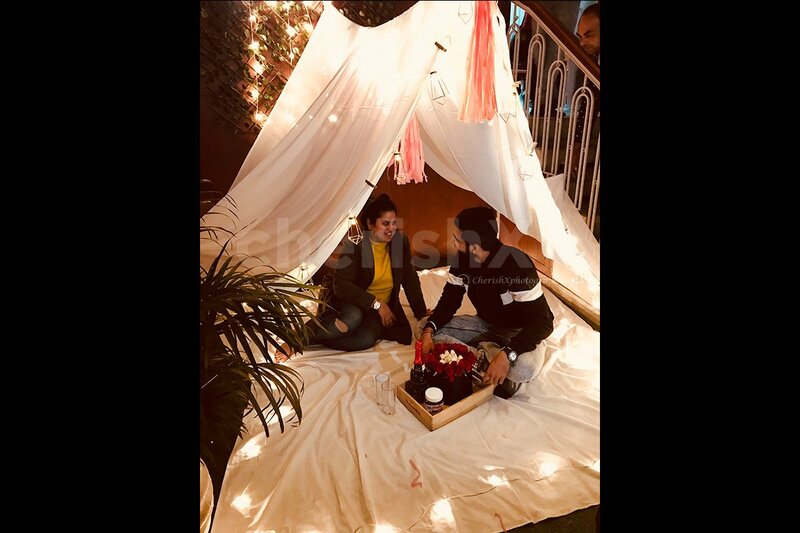 Relive your childhood fantasies & have those unlimited chit-chat sessions with your favourite people with this funky setup. 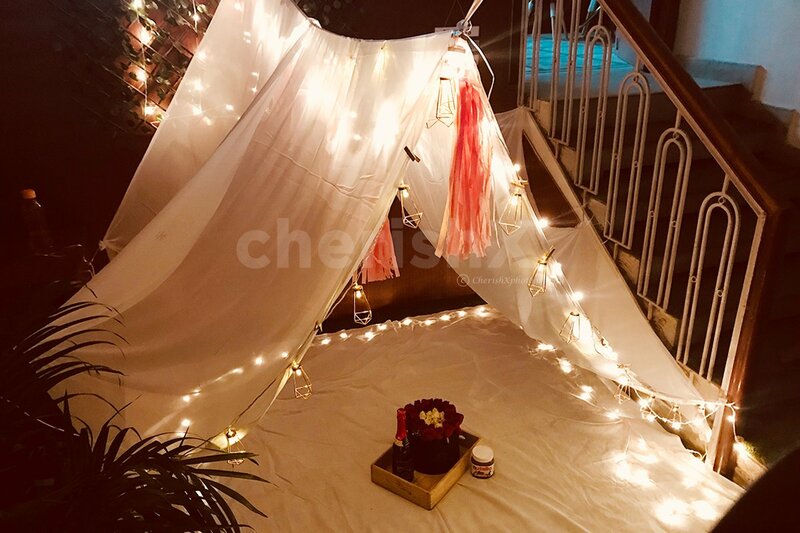 Create an inviting & comfy place by these white net curtain drapes, clean white bedsheet, heart & tassel strings to add the bling with some twinkling fairy lights having lamp lights in between. 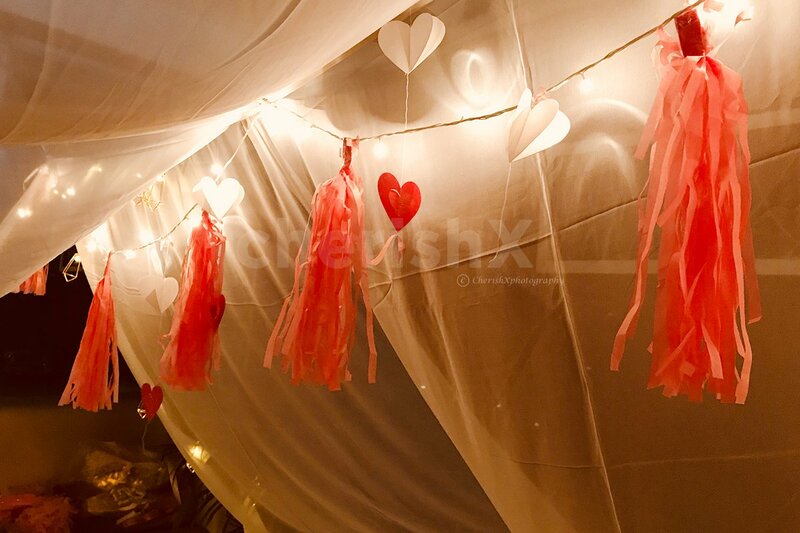 The epic fort night kit is made of heart strings & tassels that will not fail in entwining your hearts. The clean & chic white setup is appealing to the eye, allowing you to spend some quality time with your partner after a stressful day at work. 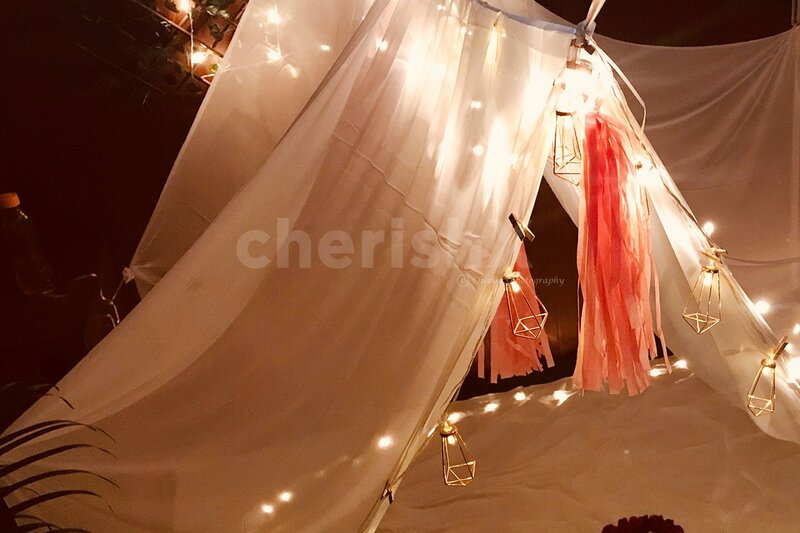 Lamp lights & fairy lights add glow & radiance to your experience. 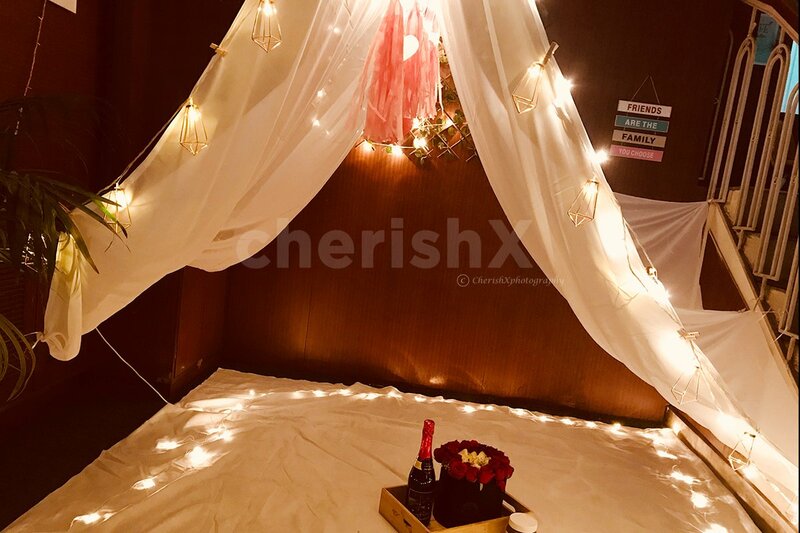 We at CherishX believe- The bigger the surprise, the better it gets! 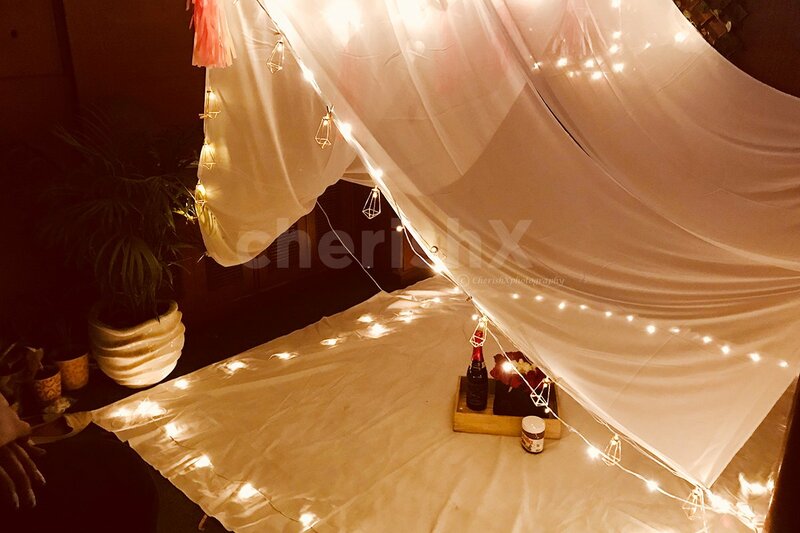 You can choose to add 5 more fairy lights, 8 lanterns with fairy lights, a rose bucket, a cute teddy bear and much much more! The crocin to a headache, the chocolate to a heartache,This cute and comfy kit is the best and quickest fix to add a little crazy to your life!! Nails will be drilled to attach the tent house. All the material is bought specially for each booking and you can keep the whole set up. The setup will depend upon space available in the room. Add Big wooden LED letters (L.O.V.E). These will be delivered to your place with your experience and picked up after your experience.